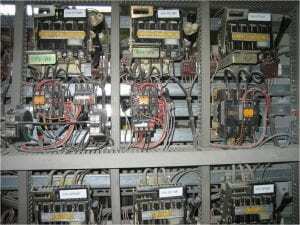 This series of posts presents what the authors consider as the right way to choose an LV electrical distribution (ED) panel. We will refer only to LV ED panels for small or medium size buildings without critical applications. When we say “non-critical applications”, we mean applications where the damage of an electrical shutdown is not so critical as to imply any casualties – like in Hospitals – or extremely high financial damages – like in Data Centres – which will require the highest level of availability. Examples of the kind of buildings we refer to are Commercial Buildings, Offices, and the like. The expressions “installation system”, “switchboard“, “enclosure” and “panel” will be used as synonyms. Universal vs. Functional installation systems. Functional division of LV panels and their architecture: general principles. LV panels: access rules. The operation life cycle phase access strategy. As soon as electricity started to replace energy produced by animals or by steam the question of how to install the electrical devices aroused. At the beginning, in industrial and commercial buildings the devices where installed in a dedicated room. With no enclosure around the devices, the room served as an enclosure in itself. Electrical devices installed on a wall without any dedicated enclosure around. Photo taken in a cement plant built in the 1920’s and still under operation. We could call this room a “universal enclosure” since any devices could be installed in it, and any arrangement of the devices is possible because no constraint of any sort applies. The concept of Universal Enclosure was born. The electrical room considered as an enclosure provided some fundamental functions that an enclosure must fulfil, like robustness, restricted access to electricians, etc. The demand for safety led to the installation of the electrical devices inside a metallic enclosure, whose main function is to prevent direct contact with live circuits. The metallic enclosure could be either floor-standing or wall-mounted, but the principles are the same. So, how do we define a Universal enclosure? It is general purpose. This means that you can do whatever you want with it. What is wrong with this? Nothing, except that you design all the elements each time: the installation and fixing of devices, the electrical power distribution and wiring routing, and in particular the thermal study. The thermal study must determine the right level of forced ventilation or air conditioning required for each specific case. Sometimes this is not good enough. In many applications the need for higher availability of energy (a.k.a. continuity of service) led to the development of Functional panels to replace Universal enclosures. What is a Functional installation system and why it is good for me? It is not general purpose. It is specialised in a specific type of application and thus carrying out certain specific functions, like motor management or electrical distribution. Most designs and studies are done only once and for all, including natural ventilation, eliminating any possibility of error. Type tests guarantee that the right level of performance is achieved each time. In the middle of the last century, distribution of electrical power continued to grow at a fast pace and at the same time some big regional trends appeared. These trends are at the origin of the current main standards: North America’s ANSI, United Kingdom’s BS, Russia’s GOST, and European IEC which became the most internationally spread standards. The demand for safety in order to protect people against the electrical risk combined to an increasing demand for availability of energy became paramount. 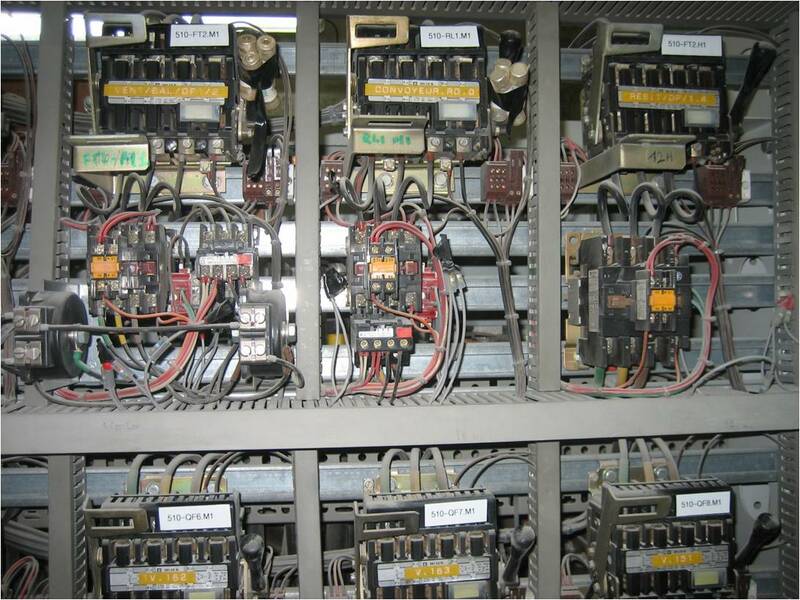 The need for fast identification of the faulty components and their replacement without shutting down the complete electrical panel led to the development of Functional panels. Another way to define a Functional Panel is as an assembly of Functional Units (FU). An FU comprises all the electrical and mechanical elements that contribute to the fulfilment of a function (e.g. a motor starter, a feeder, etc.). View of a Functional panel without its metallic enclosure to show its organisation in FU’s. The image on the right front shows a typical FU (in this case a motor starter). One of the advantages of a Functional installation system is its readability. The association between devices fulfilling a same function is evident at the FU level. This allows for rapid identification of the different components and of their association, and thus greatly facilitates operation and maintenance tasks. FU’s also insure operator’s safety by providing a dedicated access to a bundle of several electrical functions without, in most cases, any impact on the availability of the rest of the panel. Today, both Universal and Functional installation systems are used. Universal enclosures are typically used for control panels for machines. Functional panels are typically used for electrical distribution. Nevertheless, customers are more and more asking for functionalising of Universal enclosures, making the frontier between Universal and Functional less and less sharp. You refer to the “European IEC” standards. It is important to note that the “E” of IEC does not mean “European”. In addition, the “I” of IEC means “International”. Experts from all over the world contribute to developping the IEC (International Electrotechnical Commission) standards, including experts from the USA, United Kingdom and Russia. Absolutly right Jacques, thanks for this clarilication. What is the difference between Functional Enclosure ans Universal Enclosure? Functional installation system is an assembly of several functional units (e.g. Prisma Plus), Universal Enclosures are general purpose, often used in industrial environement (e.g. Spacial SF). Please explain the term LV – PANEL AND MV-PANELS.